The avian community is full of passionate, creative, and enthusiastic individuals. While a large majority of us congregate online in various Facebook groups, forums, and groups, bird groups still exist in local real time communities. Sometimes logging into Facebook and reading over the latest bird news can be a blessing and a curse -I can cheer along with a group as they raise funds to rescue or support a bird in need. I can also read in amazement the drama, negativity, and ill will that some people perpetuate. In this day and age of technology we have to be careful about our activities. This includes who you donate money to, support, or even talk about. Unlike ‘real time’ you may only know a person as their profile picture, and not as a living breathing individual. This means that yes, unfortunately there are people out there that take advantage of others. Doing your due diligence about who you support and why is of utmost importance. However that being said I think it is sad that so many people online and even in real time cannot take anything at face value anymore. I realize it is a factor of our environment and us being protective of our personal lives and identities – but that doesn’t mean that those people behind the computer screen aren’t real. They are. Talking on Facebook is just like conversing on the phone – just because you can’t see the people, doesn’t mean they do not exist. I think a lot of people forget this simple fact and use Facebook as an outlet to be who they wish they could be, instead of who they really are. Meek people may be loud and boisterous, non confrontational people may be the first ones to call someone out. As an introvert I completely understand what relief a keyboard provides interaction wise. Behind a keyboard you have no worry about looking someone in the eye and saying what you really feel. You can also carefully plan and modulate your response, re-writing and drafting to make sure what you say is perfectly clear. But behind a keyboard, you lose all sense of body language and tone. You can read a perfectly innocent remark, and take it the wrong way by inserting your own tone of voice into it, instead of the tone in which it was originally typed. It’s happened to all of us. I know a lot of us use Facebook groups and forums as an easy way to converse with people that share our same passion – our birds. I know that a lot of the time it is so easy for me to get sucked into the online world, I substitute that interaction with real time interaction. Getting out into your local community is just as important as participating in online communities. You are not the only bird owner in your town. Get involved on a local level – get engaged with bird owners in your area. Don’t have a bird club? Form one. Find out if there is a rescue in your area and volunteer – participate in seminars like AFA conventions and Parrot Festival. Reaching out to your community can be one of the most important things you do as a bird owner, if only because you may make an impression on a future bird owner. When you see a controversy online, I encourage you to stop, look, listen, and form your own opinion about the situation. People who regularly create online drama can damage and divide the community – and we are already so divided! Having your own knowledge and opinion about any given situation is so important so that you can make an informed decision about what is going on. Blind followers are not only detrimental to a group, but following blindly may end up hurting the birds. When we take our eyes off of what we initially gathered for and stay too focused on the human element, we lose sight of our original goal. Please remember next time you have an online interaction with someone: that is a real person. Your interaction doesn’t just stay on Facebook – it can have personal and very real repercussions for that individual. Treat everyone as you wish to be treated – although that is an old saying it is so very true. What you do and say are immortalized online, so take heed before you post. 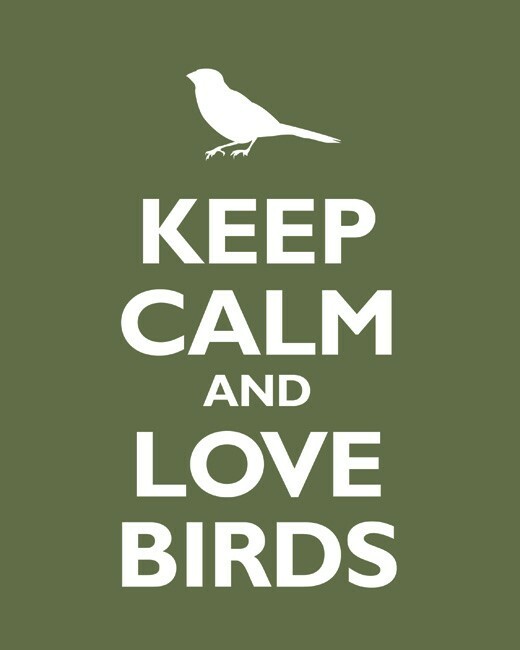 Most importantly, don’t forget it is all about the birds. Go hug your bird today! Very well said. Thank you! !